Hard to tell the difference between the two, and yet quite a difference there is. Let us tell you a bit about it. 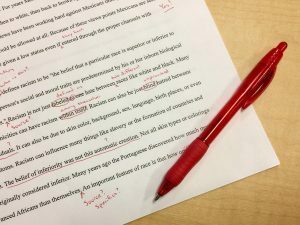 Reviewing means saying goodbye to mistakes and typos. If your text is already stylistically sound and adapted to your target group then what you need is a text review. This means that your text is cross- checked against orthographic, grammatical, and typographical mistakes. This includes the correction of punctuation and other errors. In order to make sure your text is 100% correct you should opt for an 8-eye review. Here your text is reviewed chronologically by two different reviewers Aloha enterprise usaf , assuring that if one should miss a single comma-mistake, the other will catch it and correct it. In contrast to pure reviewing puttygen download , editing includes a profound stylistic and semantic adaptation of a text. This goes beyond the mere orthographic review, because the editor enhances and refocuses the main message points in the text, making it more comprehensible and targeted for the desired audience. Depending on the purpose and context of the text (scientific or magazine etc) , the editor’s important role is to help transmit your text message in the most appealing and efficient way for marketing or other purposes.